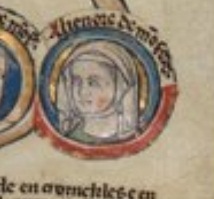 Born on 29th September, 1252, at Kenilworth Castle, Eleanor de Montfort was the only daughter and sixth child of Eleanor of England, the fifth and youngest child of King John and Isabella of Angouleme, and sister of Henry III. Her father was Simon de Montfort, Earl of Leicester, leader of the rebels in the Barons’ War. Eleanor had 5 brothers; Henry, Simon, Amaury, Guy and Richard. Simon de Montfort is remembered as one of the founders of representative government. 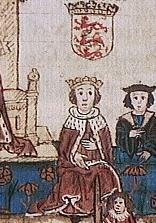 He and his eldest son, Henry, were killed at the Battle of Evesham on 4th August 1265. On her father’s death, Eleanor fled to exile in France, with her mother. The women settled at the Abbey at Montargis until Eleanor of England’s death there in 1275.